I wanted to share another look with you. I call this look "Au Natural". I was headed to brunch and didn't have a lot of time for makeup but I wanted something that would make me look fresh and awake. Check it out! The eyes are simple. I used a peach in the crease and a bit of shimmer on the lid. Liquid winged liner and lashes and that's it! 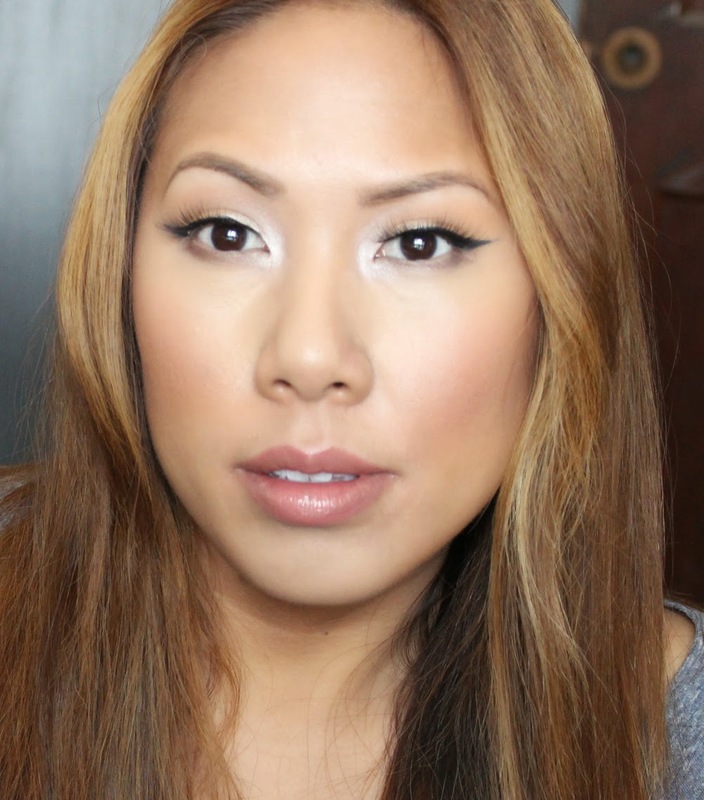 I kept my skin dewy, using CoverFX Illuminating Primer and CC Cream in Golden Deep. I applied bronzer for warmth (CoverFX Sunset Bronzer) and added a bit of Mauve blush for color - MAC Gleeful Mineralized Blush. On the lips I'm wearing a my lips but better combo - BeautiControl's Natural Lip Pencil and YSL Rouge Volupte Shine. This combo is all about enhancing your natural features, hope you enjoyed! Till next time, Ciao Bellas! omg, love this look on you! so natural yet absolutely stunning! Gorgeous! Definitely an everyday effortless look.